Did you know that Central Illinois’ largest cemetery has over 75,000 gravesites? And it is the final resting place of some of the most famous historical Illinoisans. When the cemetery needed an upgrade to their mapping software to ingrate a more user-friendly, web-based system, they turned to Cloudpoint Geographics. Each section of the cemetery had its own set up maps and related grave records. These historic records were manually reviewed and data entered into the new mapping system. The final application will consist of a searchable, interactive, GIS web map for cemetery managers to easily update records for burials and track lot sales. The team was able to provide drone flights and GPS data collection to introduce high-resolution imagery onto the scene and increase spatial accuracy of all gravesites along with the various sectional layouts of the cemetery. As part of the final project the Client will be receiving an interactive web-based mapping application to easily search, edit, and updated burial records, lot sales, and ownership information for each site. In addition, Cloudpoint will be providing a public-facing web map that allows the public to search by last name to find loved ones or to support genealogical research. For more information on how your cemetery can improve data management and benefit from integrating GIS technology contact us or call 877-377-8124. Late last year, the Tazewell County ETSB contracted with Cloudpoint Geographics to provide GIS Data Cleanup and Configuration in preparation for NG9-1-1. The contract includes the following major components that will be configured and delivered through Esri’s ArcGIS platform including ArcGIS Online for communities to submit updates to road centerline and address data. The results of this project will assist Tazewell County 9-1-1 dispatchers and emergency responders by improving data accuracy and increasing efficiency in response times. Additionally it will provide increased communications between the county 9-1-1 and local addressing authorities. For more information regarding Cloudpoint’s NG9-1-1 GIS data services please contact us or visit our NG9-1-1 services page. When Scott County, Iowa had a recent opportunity to secure grant funding to provide GIS data cleanup for NG9-1-1 they took full advantage and contract with Cloudpoint to compete this work. The project had a very tight time frame being completed in less than 60 days. This work involved cleanup of Emergency Service boundaries in the GIS, as well as repairing road centerline geometry, correcting road centerline address ranges, directional errors in digitize roadway directions, and reviewing site address data points that fell out of range with the centerlines. Cloudpoint was able to complete this cleanup work using tools including curves-to-lines in ArcGIS Pro, creating topologies, and using the 'Align To Shape' tool for aligning emergency services boundaries with road centerlines and administrative or political boundaries where applicable. Overall the project involved a over of 88,000 address points and more than 2,300 centerline miles. Cloudpoint continues to provide high quality GIS data services for state and local governments throughout the Midwest. For more information contact our office at 877-377-8124. A screenshot of address points, road centerlines, and emergency services boundaries requiring review and data cleanup for improving emergency response and dispatch for NG9-1-1 services in Scott County, IA. Village of Burr Ridge receives a GIS face lift! 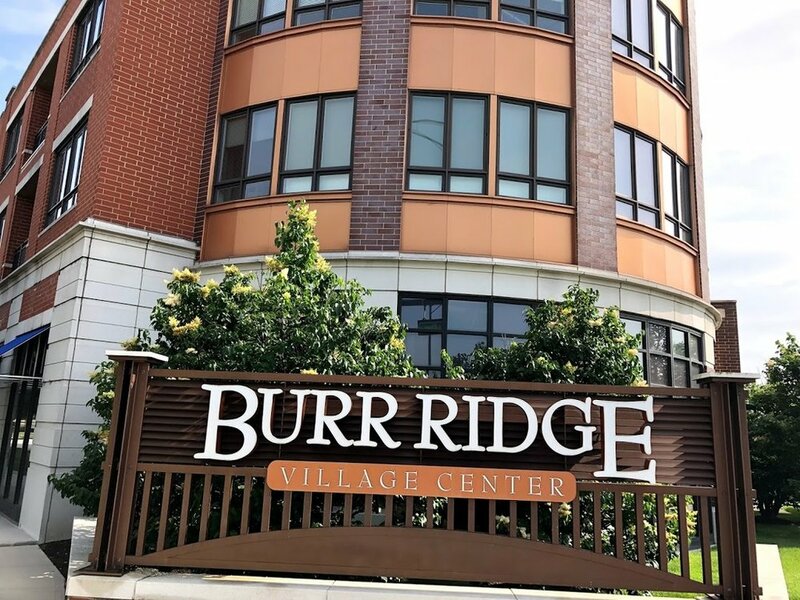 Burr Ridge is home to over 500 businesses occupying more than 6 million square feet of floor area and employing 10,000 plus people. The Village of Burr Ridge has contracted with Cloudpoint Geographics to provide complete managed GIS services. Cloudpoint's professional staff will act as an extension to the Village's internal staff when it comes to GIS needs and communicating with its constituents. Here are some resources that the Client will soon be able to take advantage thanks to this newly formed partnership. Village staff had the foresight to see that a centralized GIS can be a "single source of truth" for both internal and external users to access critical information to help drive decision making processes. The Cloudpoint team will be working closely with the finance director, assistant administrator, public works officials, and IT staff to remotely connecting to the Village's network to perform GIS upgrades and rolling out new applications for the system as well as providing regular training for their staff. For more information on how your agency can take advantage of our affordable GIS services you can contact us through our website or call 877-377-8124.